Texas is one of those states that people have preconceived ideas of before they visit. Whether those ideas are derived from old western movies set in Texas or from the many country music songs that mention the Lone Star State , Texas – perhaps more than any other place in the USA – has a cowboy reputation. While Texas isn’t entirely synonymous with ranching and cowboys, there are still certainly parts of the state where you can experience that unique culture. And you don’t have to drive all the way out to West Texas to experience it either. In fact, in the heart of one of the state’s largest cities, you’ll find an area that proudly showcases it’s wrangler roots. 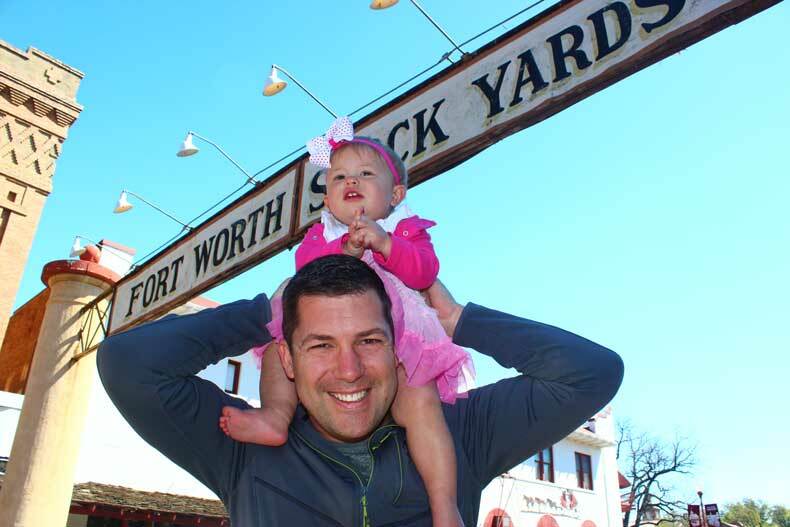 The Fort Worth Stockyards are fun to visit especially for those who did not grow up anywhere near Texas. It is a way to experience the cowboy culture both as it is today and how it was in the past. 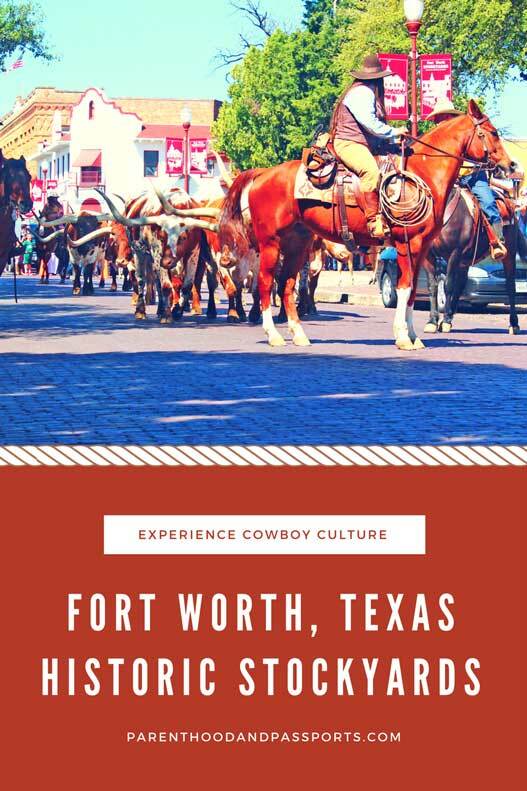 Located just north of downtown Fort Worth’s popular Sundance Square, the Stockyards offers guests an authentic cowboy experience in Texas. This area of Fort Worth has a lot of preserved charm, from the brick streets to the old west architecture. But the major tourist draw to the stockyards is the livestock. You can walk through the stables anytime during the day and view longhorns, horses, and even reindeer for free. They offer guided tours, as well, if you want to learn more about each animal, it’s purpose, and the history of the stockyards. For a small fee, you can even take your photo on a real longhorn. There is a petting zoo, pony rides, and a maze for children that also comes with a small charge. 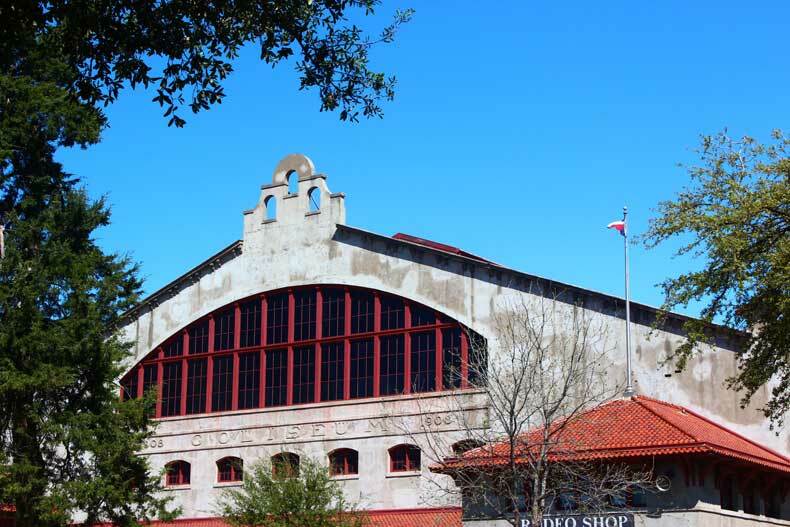 At the heart of the Fort Worth Stockyards is the Stockyards Museum. It is free to enter, but a $2 donation per adult is requested to help cover the operating costs. Inside the Stockyards Museum you can learn about Fort Worth’s history, how the stockyards came to be, and the beginning of the cattle and ranching industry in Texas. The museum offers a unique history lesson on the old Chisholm Trail, and how it helped shape Fort Worth as a city during the western expansion across the United States. Twice a day (at 11:30am and 4:30pm) cowboys in early 20th century attire conduct a cattle drive down Exchange Street, which is the main street in the stockyards. 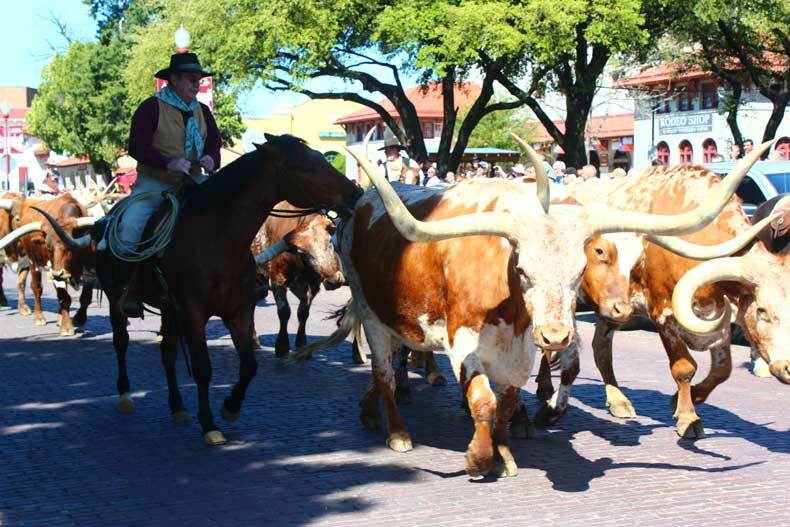 Tourists and locals alike will line the street on each side to watch the longhorns herded through the street. There is no charge to watch the cattle drive, and I really don’t know of anywhere else where you can view this type of daily occurrence. A visit to the Fort Worth Stockyards wouldn’t be complete without sampling true Texas cuisine. Texas is known for its love of steak and potatoes, and there is no place in Fort Worth better to try these Texas staples than Riscky’s Steakhouse. Riscky’s Steakhouse is the oldest restaurant in Fort Worth. The food is great and the prices are surprisingly reasonable for being in the heart of a tourist area. Billy Bob’s is another experience worth having in the Fort Worth Stockyards. Billy Bob’s is the largest dance hall in Texas. 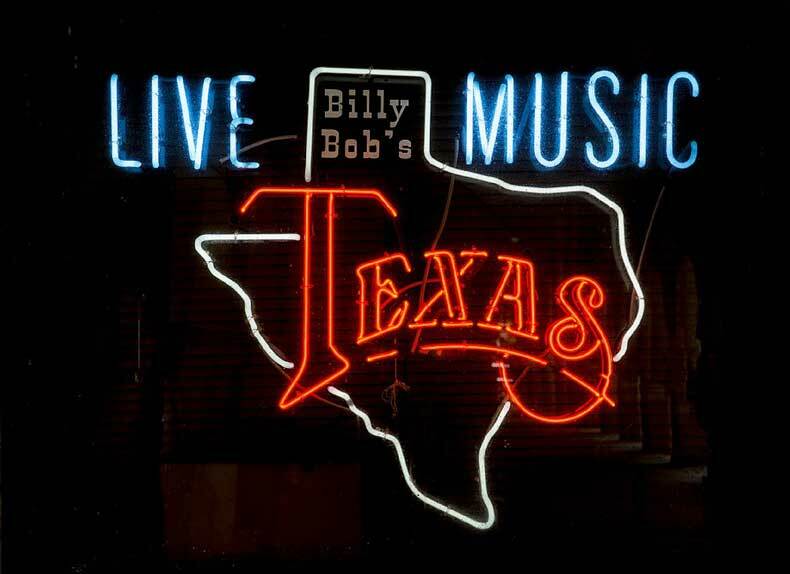 Having lived in Fort Worth for the better part of my twenties, I spent many nights at Billy Bob’s watching some of my favorite country artists perform. Billy Bob’s often host large concerts and live bull-riding. It is a kid friendly ‘honky tonk’, although there are certain areas of the venue where children are prohibited. At Billy Bob’s you can learn to line dance or two step, watch cowboys ride a bucking bull, have a cold beer, and listen to some of the best names in country music perform… all of this under one roof. 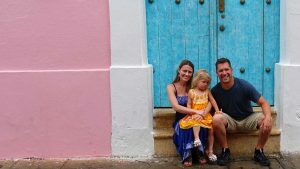 For more inexpensive things to do in Fort Worth with or without kids, click here. 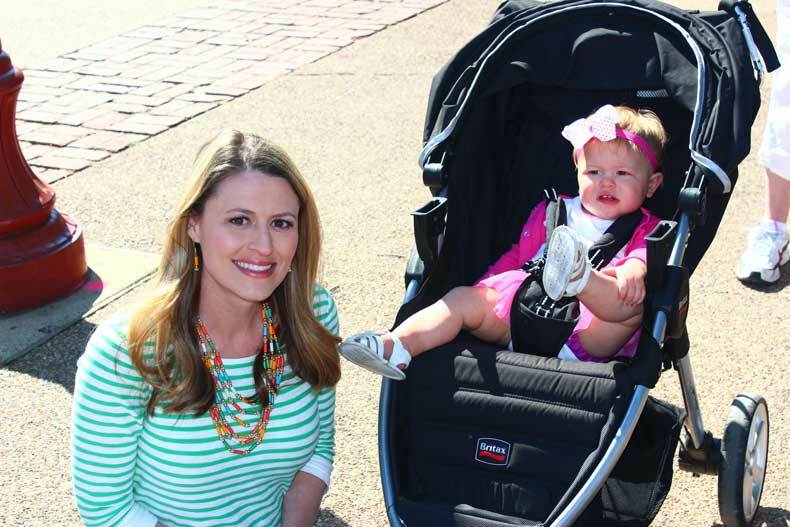 Have a question or comment about the Fort Worth Stockyards? We’d love to hear from you! Leave your thoughts in the comments below.